Zambia : Mumba Yachi to unleash "I am Lenshina"
Mumba Yachi, is scheduled to launch his fourth studio album on May 1 in Lusaka. The album titled, I am Lenshina is Mumba Yachi’s dedication to women and his show of support through music for women empowerment. Mumba Yachi emphasised that everything he talks about in the album relates in one way or another to women. The artiste shared that while technically his fourth album is Zambian, he has tried to add some value to it by giving it a jazzy touch so as to appeal to an international audience. Songs to feature on the 13-track album include Shame on You, which talks about people having mutual respect for each other. The song Ba Mayo is Mumba Yachi’s tribute to mothers for the sacrifices they make every day, while another song called Africa describes pan-Africanism as the way for the continent to develop. “In Africa, I talk of how we need to carry the uniting spirit of political leaders such as Kenneth Kaunda and Julius Nyerere in different spheres of life,” he shared further. Initially,the artiste considered producing two albums as he has written quite a number of songs but after further consultation, settled for 13 tracks. 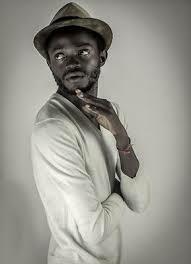 Mumba Yachi is a skilled guitar and percussion player who has been professional since 2009. 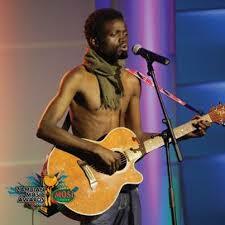 Last year, his album, Mokambo, was selected as the ZMA best traditional album. Presently, Mumba Yachi has been hooked on a lot of jazz music for inspiration but cites Emmanuel Mulemena, Franco, Fela Kuti and Ismailo as artists he has huge respect for. Mumba Yachi’s fourth album is produced by Mojo, the label he is signed to. I am aware that the disgraced Alice Mulenga Lenshina adopted that name (corruption of Regina) after Queen Elizabeth II whose other name is Regina. To those unaware of AM Lenshina. She headed a sect called Lumpa church and based in Chinsali. She decided to fight the new incoming govt. of Zambia in 1964. Lumpa church still exists today after they were unbanned perhaps in the 1980s. Seems my first posting on this has been removed. Maikalange you have a point in suggesting that the good side of people who were condemned during KK’s rule also be looked at. I just hope you are not from Chinsali yourself. The town has been associated with religious fanaticism on many ocassions. @Nsimbi,You are right,there is ONLY one Lenshina in Zambian history, the founder of the Lumpa Church.She was a “prophetess”I only hope my brother Mumba is NOT going into Satanism by “resurrecting” the spirit of Alice Lenshina.History says she did weird things bordering on Satanism & people were sacrificed. Am not surprised by our Northern brother. Even in the West we have our own cults. In Kaoma to be specific. You’re all just talking about this Lenshina woman. What about the music this Yachi guy has released? Is it cool? Ba LT where’s the music? Mumba Yachi is a member of the Jerusalem Church aka Lenshina Church. In his last album entitled ‘Mokambo’ Mumba eulogizes Lenshina as a great prophetess of God who was maltreated and misunderstood by people. You can get whole this from the song Lenshina on the a fore-stated album.